If you enjoy gaming on your Windows 10 PC you can get much more from it by opening the Game Bar. This is accessed by pressing the Windows key + G. Its functionality includes being able to capture screenshots, video, and broadcasting your gaming live to Microsoft’s Mixer service. You can also change these keyboard shortcuts to ones that best suit your game, or gameplay style. 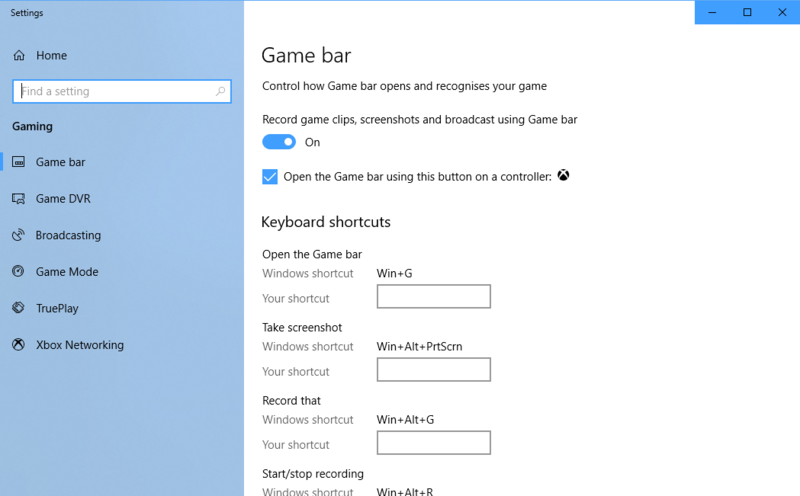 Additionally, full options for the Game Bar can be found in Settings > Gaming where you can fully configure the Game Bar, broadcasting, and other features such as Microsoft’s TruePlay feature which in compatible games, ensures people play fairly. The Game Bar in Windows 10 is a great utility to help you share and enjoy your offline and online gaming with friends and the wider world.